'Lenticular Cloud, Mount Hood' by Paul Marcus - DPC Prints! 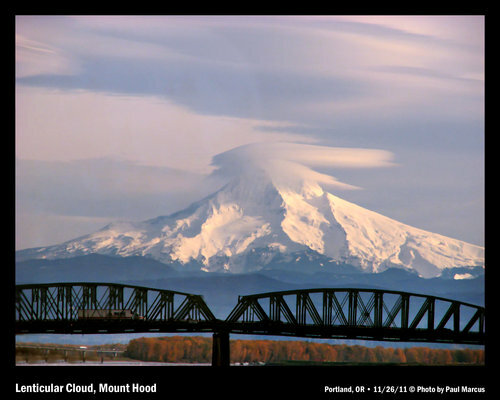 Lenticular cloud atop a snow-covered Mount Hood, with a steel-truss bridge over the Columbia River in the foreground. This photograph originally appeared in the Free Study 2011-11 Challenge.